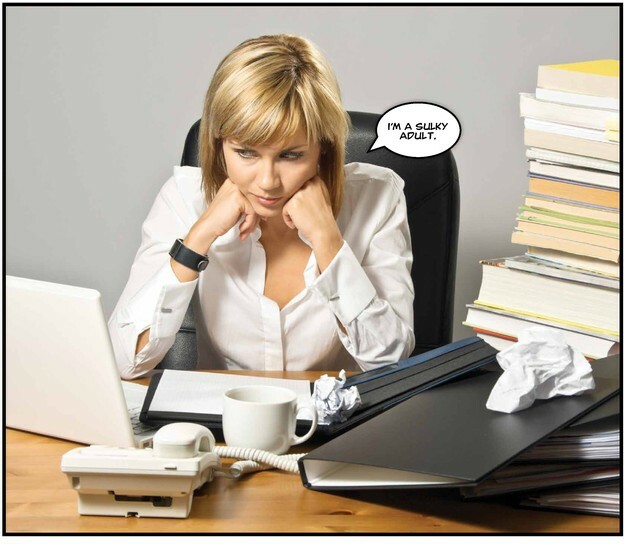 Digital Subscriptions > Learn Hot English > 183 > How moody are you? HOW MOODY ARE YOU? ARE YOU SIMILAR TO A SULKY TEENAGER? OR ARE YOU MORE HAPPY-GO-LUCKY? TAKE THIS QUIZ TO FIND OUT! 1 It’s Monday morning... AGAIN! What’s your reaction to starting the week? b. You’re already waiting for Friday. The latest issue of Hot English (183 – the August issue) is out now! Learn over 300 useful words and expressions and improve your listening skills with Learn Hot English! 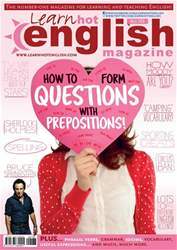 This month: How to form questions with prepositions! Learn how to make questions with verbs + prepositions by placing the preposition at the end. Plus, 12 useful words for talking about camping, 10 useful words for talking about the city, 12 useful words for meeting and greeting someone, “street” idioms, “clothing” phrasal verbs... plus: • Entertainment – the use of animals! • Quiz – how moody are you? • TV – teen series. • US culture – freaks and geeks. • Grammar – confusing words. • Film scripts – The Wizard of Oz. • Relationships – how to hold a drink. • Festivals – Glastonbury. • Medicine – basic anatomy. • Food – avocado wrap. • Music – Bruce Springsteen. • Language – spelling. • Literature – Sir Arthur Conan Doyle. • Sport – cheating in sports. • Slang – learn some useful slang terms! AND LOTS, LOTS MORE! By reading and listening to all this great content, you'll improve your English reading and listening skills and learn up to 300 useful words or expressions. Plus, you'll get a better job and pass English-language exams more easily. Guaranteed! Should animals be used in sport and entertainment? HOW TO FORM QUESTIONS WITH PREPOSITIONS!